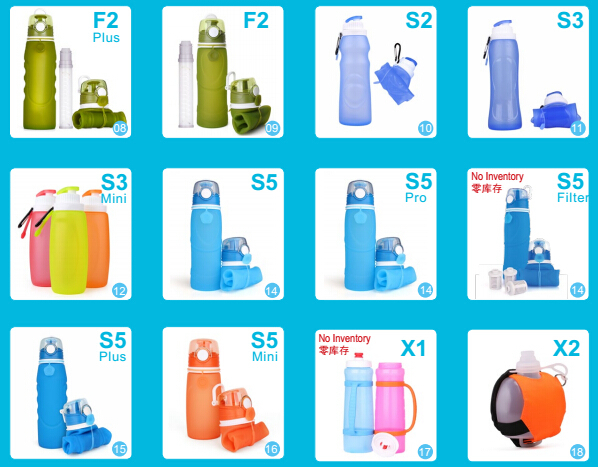 Product categories of Outdoor Collapsible Silicone Water Bottles, we are specialized manufacturers from China, Outdoor Collapsible Silicone Water Bottles, Outdoor Water Bottle suppliers/factory, wholesale high-quality products of Foldable Drink Bottle R & D and manufacturing, we have the perfect after-sales service and technical support. Look forward to your cooperation! wallet size after you drink up, it will save a lot of space for bag or you can even put it in your pocket. for your whole family, pls contact our sales for more.